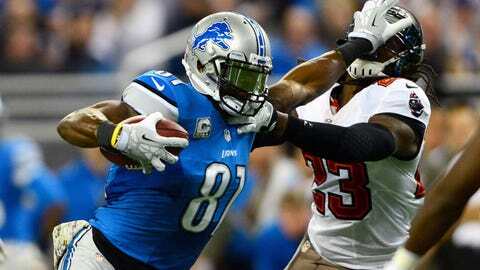 For the Lions, it’s been their star players such as Matthew Stafford, Reggie Bush and even Calvin Johnson who have let them down with costly turnovers during this recent streak of blunders. Two 7-6 teams – the Detroit Lions and Baltimore Ravens - playing on Monday Night Football, fighting for playoff berths in the third-to-last game of the season. It doesn’t get much better than this, at least not around Ford Field. The Lions simply haven’t been good enough to deserve such a high-profile appearance in most seasons. They got one two years ago and the atmosphere was electric as Detroit rolled to a 24-13 victory over Chicago. Lions center Dominic Raiola will never forget the day. "I remember driving around Eastern Market like at nine in the morning," Raiola said. "People were partying and drinking. That’s what I want to see. I want to hear about stuff like that. I’m going to take a drive around again (Monday morning) and check it out." Fans arrived early for the game two years ago. The Detroit Tigers were involved in a late-afternoon playoff game in Texas that went extra innings. "People were loud in pre-game," Raiola said. "People were sitting in their seats watching the (baseball) game. It was awesome." With so much at stake, the fans are expected to create a similar environment this time. The club is encouraging fans to wear blue, the team’s color, to create a "blue-out" effect. "I expect them to be absolutely chaotic," receiver Nate Burleson said. "I think they could have a chance to blow the doors out of that place. They can make an impact on the game, just from yelling and screaming. It’s our job to get them hyped." The defense will have the most to gain from the crowd noise. The fans helped force the Bears into nine false-start penalties in that last Monday game. "The impact from our crowd was enormous," defensive tackle Ndamukong Suh said. "They had a lot of false starts due to our crowd. We feed off of our fans. If they can bring a little bit more, bring a little bit more." Ross, who was signed in October after getting released by Green Bay, is coming off a career day in which he returned both a 98-yard kick and a 58-yard punt for touchdowns. "I can’t believe they let go of this dude," Burleson said of the Packers. "From the very jump, as soon as he got here, he took advantage of every single opportunity." Ross felt an urgency to prove himself if he wanted to stay around. "You have to matter quick," he said. "They can always find another OK guy. You have to make yourself needed. When you’re gone, they have to be hurting without you. That’s how much of an impact you have to have. That’s what I’m trying to do." He’s doing it so far. The Lions have lost three of their last four games and the fans aren't shy about voicing their concerns. 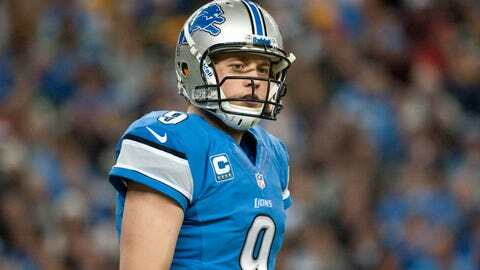 His emergence has brought an element that has been sorely lacking the last couple years for the Lions. Stefan Logan averaged 9.1 yards on punt returns and 21.3 yards on kick returns last season. Micheal Spurlock, who has since been released, started this year averaging 6.6 yards on punts and 22.5 yards on kicks. Ross took Spurlock’s job a couple weeks ago and is averaging 19.9 yards on eight punt returns and 33.5 yards on 10 kick returns. "It’s what we need," Burleson said. "It’s an X factor on every team. He’s able to get positive yards always, occasionally take one to the house. That’s a big deal in the NFL." Just ask the Ravens, who got a 108-yard kick return for a touchdown from Jones to help win a Super Bowl last season. "He’s a guy that can change the game," Lions coach Jim Schwartz said of Jones. "We’ll have our work cut out for us there." Baltimore currently ranks first in the NFL in most 20-plus yard punt returns (10) and 30-plus yard kick returns (15). They’ve committed 15 turnovers (eight fumbles seven interceptions) over the last four games, which certainly has caught the attention of Baltimore’s defense. "They’re coming after the ball," Burleson said. "They’re going to be throwing tomahawks at every ball-carrier." But what if they finally clean it up at the same time and eliminate, as Burleson calls them, the "self-wounds"? 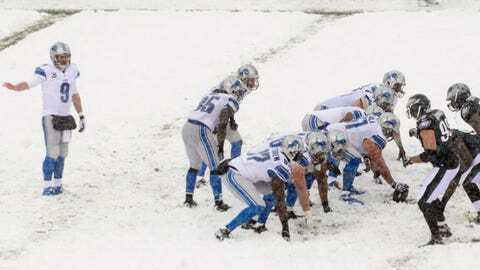 "We’re a top-five offense," Raiola said, referring to the fact Detroit ranks No. 2 in total offense and No. 3 in passing offense. "Eliminate those and who knows what would happen." Bush added: "We’ve seen glimpses of how special this team can be and how special this offense can be when we get out of our own way. "We’re all grown men here. We all have a job to do. We’re here for a reason. We play at this elite level for a reason. So we can’t turn the ball over." You just wonder whether all of that starts to get into the heads of the players at some point, they start thinking about it too much and end up coughing the ball up even more. They got hot in January last season and were a surprise Super Bowl champion. Since John Harbaugh took over as coach, Baltimore is 15-6 in the final four games of the season. They bring a three-game winning streak into Ford Field, which has put them back in the playoff race in the AFC. They’re the only team in the NFL that has made the playoffs each of the last five years. "We’re not uncomfortable playing in big games, whether they’re on Mondays, Sundays, in December or in the playoffs," Ravens quarterback Joe Flacco said. "A lot of these games will be decided by one or two possessions, and we’ve been there before. We have been able to make plays with the game on the line. "Part of it is that we know if time is left, we’ve had some success before and can deal with everything." This is an area where the Ravens have a significant edge over the Lions, who don’t have nearly that type of big-game experience and have blown fourth-quarter leads in their last three losses while getting no points from their offense. They must love Flacco and the Ravens. The run game has regressed this season, and the Baltimore offense is relying more heavily on the deep pass. That’s a concern for the Lions, who have a secondary that can be easily exploited in that way. "They are near the top of the NFL in 40-yard passes," Schwartz pointed out about Baltimore’s offense. "Torrey Smith is a really good wide receiver when it comes to that and Flacco has enough arm to be able to put it anywhere on the field." Smith ranks fourth in the NFL in average yards per catch at 17.5, including seven receptions of 40-or-more yards. The onus will be on the Lions’ defensive line to make sure Flacco doesn’t have the time to let Smith get open deep. "We just have to get back there and get the quarterback down on the ground before he can get those big (passes) out," Suh said.